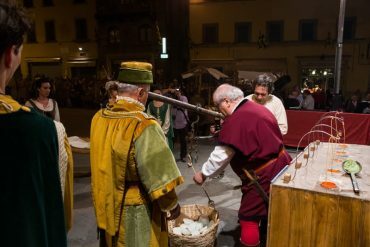 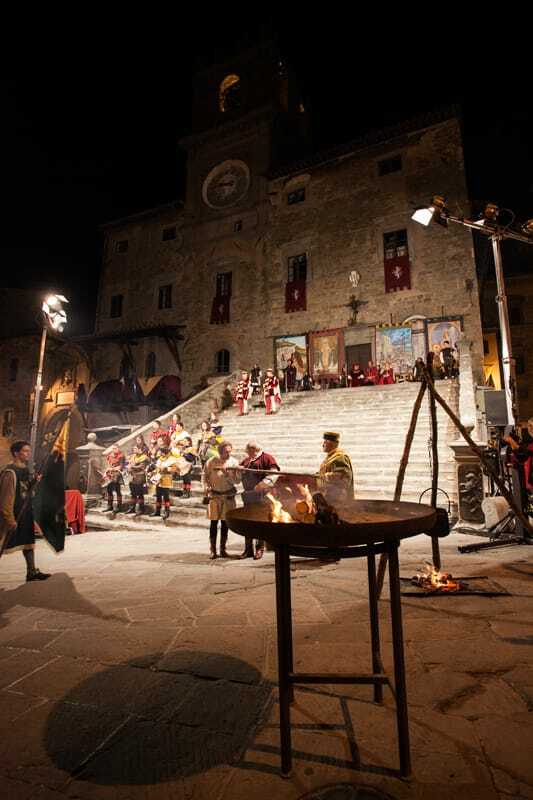 The medieval events related to the Giostra dell’Archidado (Archidado Joust) are preceded by religious celebrations dedicated to St.Margherita, patron saint of Cortona, like the so-called “Colata dei Ceri” (casting of candles), when a small group of each quarter gives some wax to be casted to make a candle, which will be offered to the patron saint on the following day. 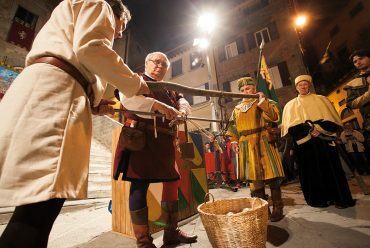 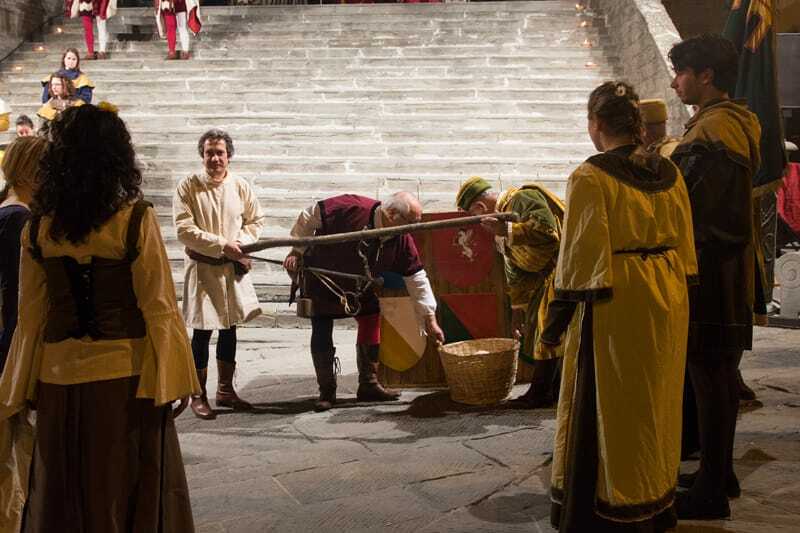 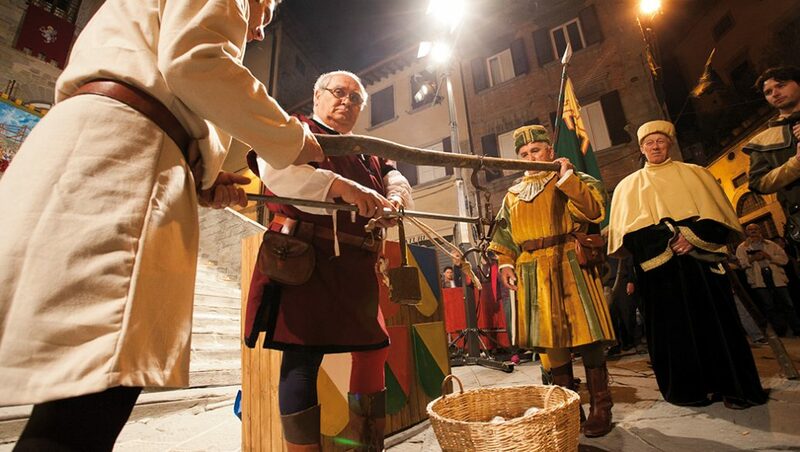 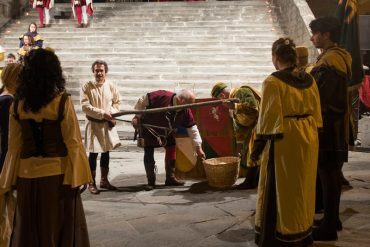 The Archidado Joust, officially created in 1397 to celebrate the wedding of the Lord of Cortona and a noble woman from Siena, is a historical event in which the different quarters of the town compete in a crossbow tournament. 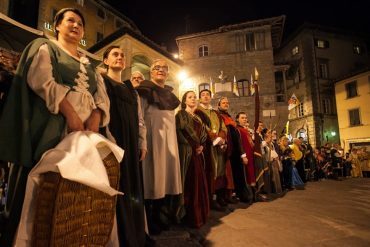 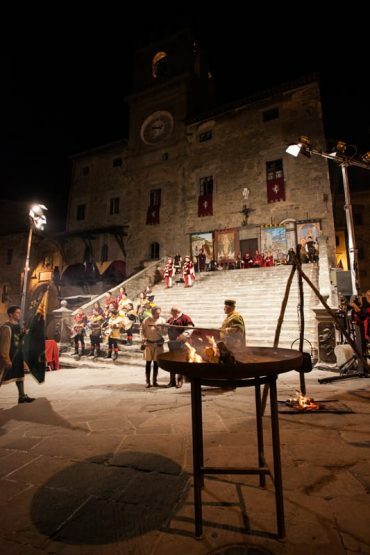 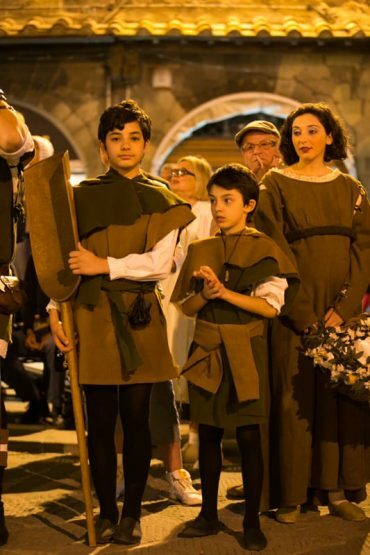 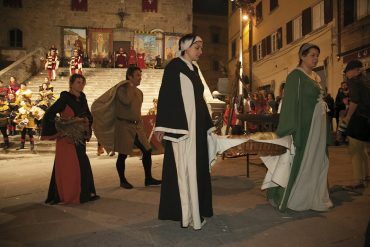 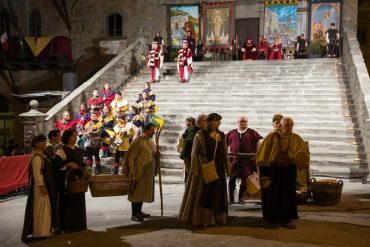 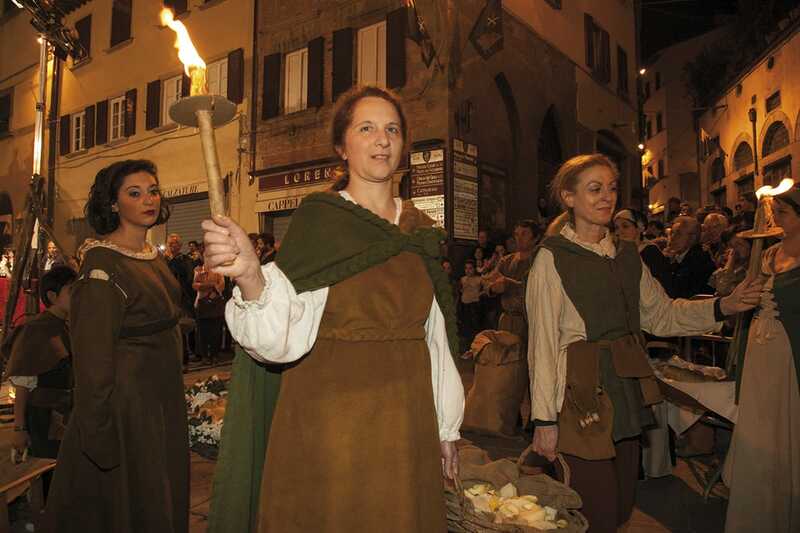 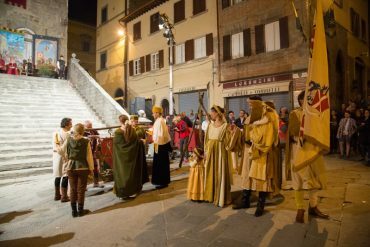 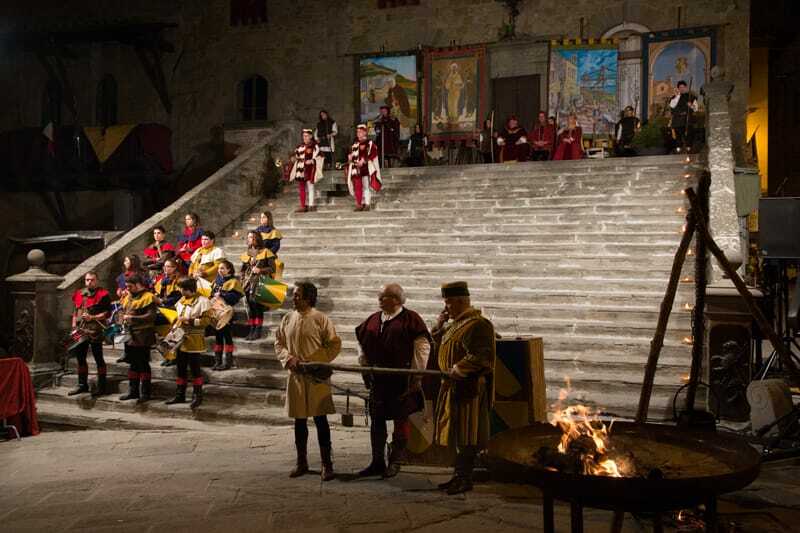 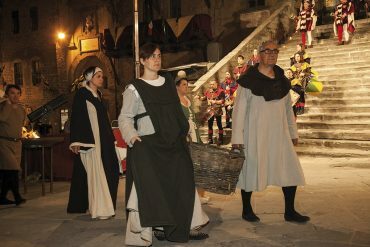 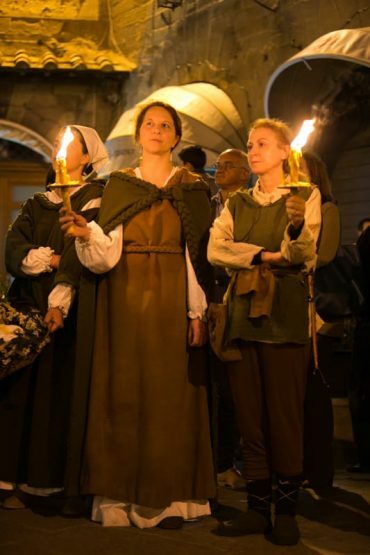 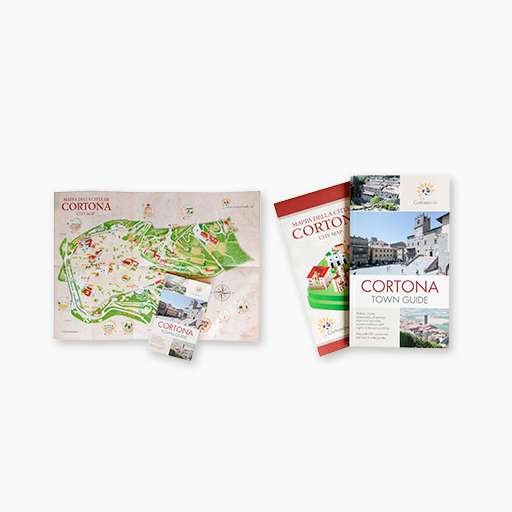 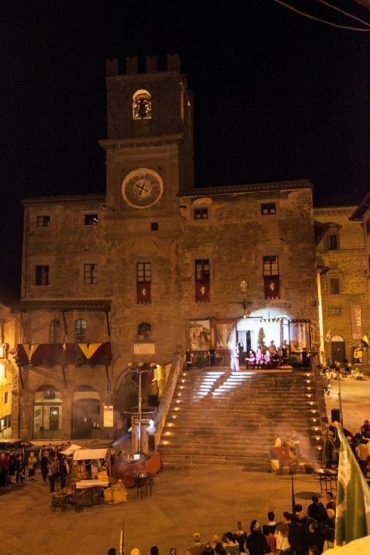 Costume parades, typical medieval dinners, flagflyers and fire-eater performances, falconry and magic shows are organized every year to relive the medieval splendor of Cortona.